Yay! Feeling better. Got another day of driving though, retracing our steps to Los Angeles.But first, breakfast. Cracker Barrel became a bit of a breakfast tradition in our family; my parents loved it when we visited America and my kids loved it the last time we were there. 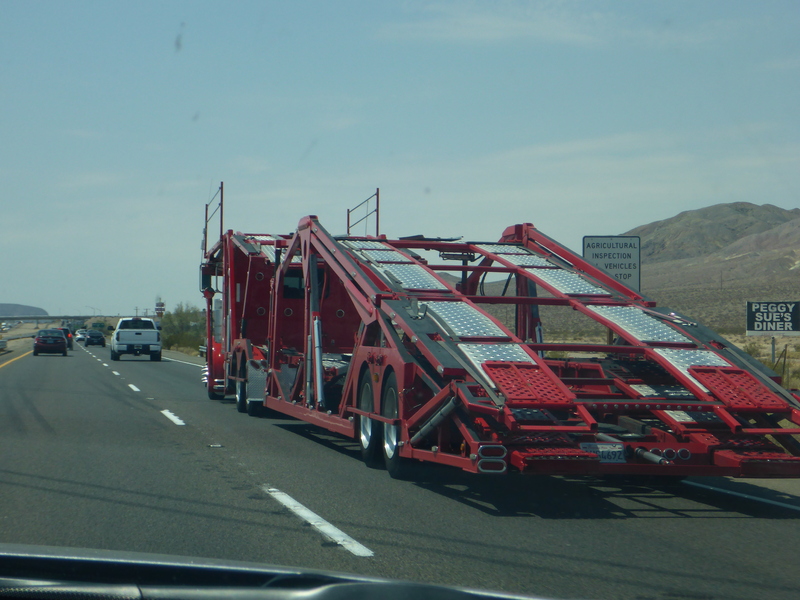 There was only one anywhere near our route to California and this was it! I took advantage of the situation to gorge myself massively on pancakes, coffee and orange-juice. The waitress was really good and kept everything rolling, even catering to our (odd) request to get a picture of us with breakfast. 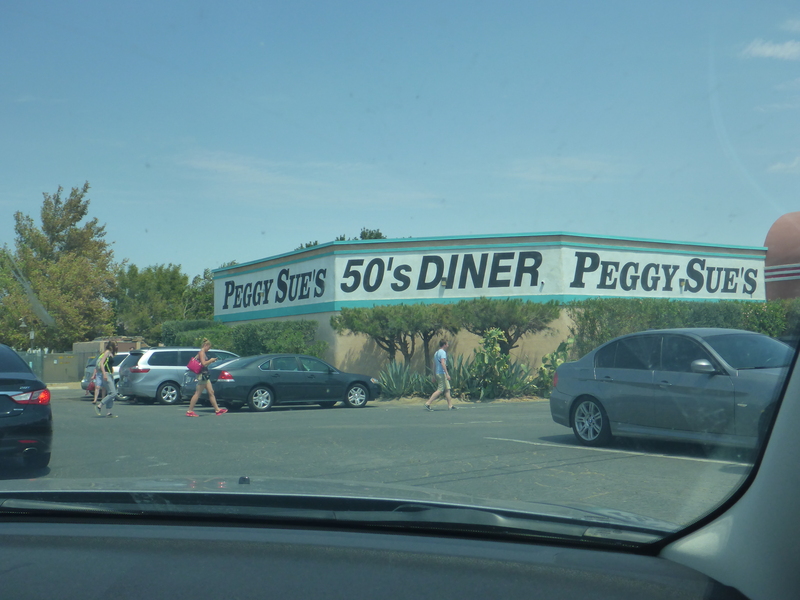 The drive was pretty much our previous trip in reverse, though we stopped at Peggy Sue’s Diner for lunch. It’s based on the old 50’s style diner’s you see in the movies and has the added cachet of being close to Route 66. The decor was brilliant, being crammed full of pretty much every piece of movie or music 50’s memorabilia in the world. The food was great too so it was well worth a visit. We checked into the Hyatt Regency in Anaheim. We had a great pizza at the hotel restaurant with a brilliant waiter who bent all sorts of rules to make our meal good; just what we needed after a long day in the car. 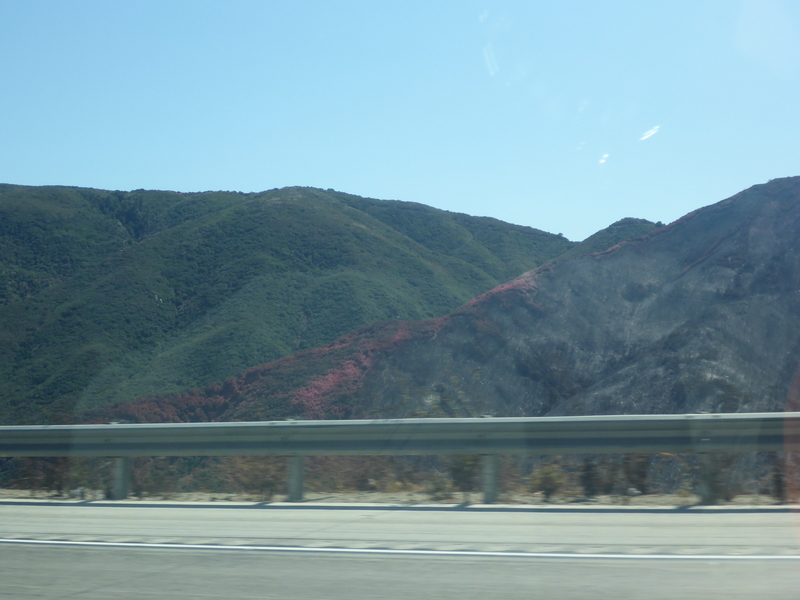 Still lots of signs of the fight against the forest fires.